Earecka Tregenza is an active performer throughout the Pacific Northwest, both as a soloist and orchestral musician. 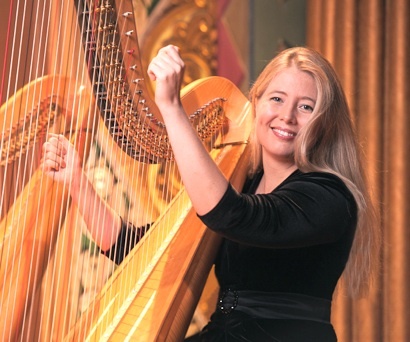 Ms. Tregenza is Principal Harp with the Spokane Symphony and performs as a substitute with the Pacific Northwest Ballet, Seattle Opera and Seattle Symphony. She is also regularly heard with her husband, violinist Jason Moody, as a part of the Cascade Duo. Ms. Tregenza has performed extensively in Europe and North America, and has appeared as a guest principal harp with the Houston Symphony, Toronto Symphony Orchestra and the New World Symphony. Her music festival credits include fellowships at the Tanglewood Music Center, National Orchestral Institute, Aldeburgh Festival, Rome Festival, Round-Top Festival Institute and the Texas Music Festival. Ms. Tregenza has also served as principal harp with the Youth Orchestra of the Americas, with whom she toured Europe and performed under Lorin Maazel as part of a Castleton Festival Residency. Ms. Tregenza has given recitals in Italy, Canada and the USA, was a finalist in the ASTA/NSOA National Solo Competition, and received the Alice Chalifoux Prize for artistic excellence at CIM. Earecka Tregenza earned a Master of Music from Rice University, Shepherd School of Music and a Bachelor of Music from the Cleveland Institute of Music. Following her graduation from Rice, she attended the Royal Conservatory of Music, Glenn Gould School. Her primary teachers have been Judy Loman, Paula Page, Yolanda Kondonassis, Alice Chalifoux, Marilyn Costello and Rebecca Lewis Wagner. 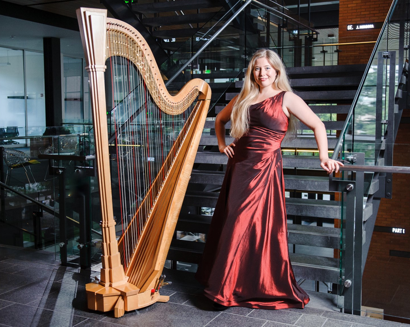 A dedicated teacher, Earecka Tregenza is the harp faculty at Eastern Washington University, Gonzaga University and Whitworth University, and offers private lessons at her home studios in Spokane and Seattle. To inquire about booking Ms. Tregenza for a special event, recital or chamber music performance, please click here. For information about harp lessons, please click here.